Additional Sessions Judge Raj Kumar Tripathi has adjourned till May 21, the hearing of The Energy and Resources Institute (TERI) Director General RK Pachauri's plea seeking permission to enter his office after the complainant submitted that she has filed a plea before High Court for cancellation of his anticipatory bail. "In the course of proceedings it was informed by the counsel for complainant that a plea has already been filed for cancellation of anticipatory bail of the accused. The matter is listed for hearing before the High Court on May 20. As a matter of judicial propriety let the present application seeking modification of earlier order be listed on May 21," the Court said. On February 13, an FIR was registered against Mr Pachauri on charges of sexual harassment under IPC sections 354, 354(a), 354(d) (molestation) and 506 (criminal intimidation). The High Court had granted anticipatory bail to Dr. R.K. Pachauri on 19th February, till 23rd February. The District Court had then, keeping in mind Dr. Pachauri’s medical condition, extended the interim protection till 26th February. Several conditions were imposed with the bail order and the petition notes that Dr. Pachauri has been “meticulously complying” with these orders. The Petition notes that even though the FIR in the case was registered on 18th February, no investigation has been conducted till date. “The applicant has been rendered unemployed since February which has adversely affected his impeccable credibility and hard work done in the field of environmental sciences. TERI has contributed immensely in the field of environmental awareness which has been recognized by the world at large, the continuous absence of the Applicant creating hindrance in the functioning of the organization. It is also submitted that if the Applicant is not permitted to work in the organization, his job shall be endangered due to his continuous absence. Further the applicant is facing severe financial constraint because he is forbidden from continuing his legitimate occupation as consequence of the condition imposed by this Hon’ble Court,” the Petition says. According to the petition, more than 50 days have elapsed since the order of the Court and since then the Police had adequate opportunity to conduct and conclude the investigation as far as TERI premises are concerned. It hence lays down 10 grounds for seeking permission of the Court to allow him to resume his work in TERI premises. 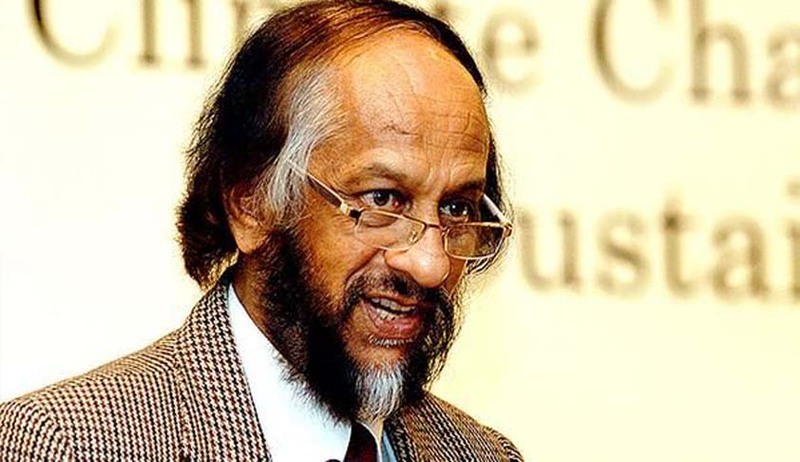 Earlier in February, following the charges, Dr. Pachauri had to resign from his post as Chairman of the Nobel Prize winning Intergovernmental Panel on Climate Change (IPCC), an organization he has headed since 2002. “The IPCC needs strong leadership and dedication of time and full attention by the chair in the immediate future, which under the current circumstances I may be unable to provide, as shown by my inability to travel to Nairobi to chair the plenary session of the panel (IPCC) this week. I have, therefore, taken a decision to step down from my position as Chair of the IPCC some months before completion of my term, and with effect from February 24, 2015,” the 75-year-old globally known face of IPCC wrote in his resignation letter addressed to UN Secretary-General Ban Ki-moon.